Kate is a partner in the Firm's Motor Vehicle and Corporate & Securities Groups with more than a decade of experience in complex corporate and commercial law matters. 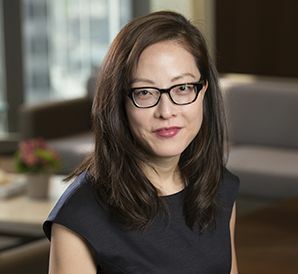 Her practice is focused on representation of domestic and foreign manufacturer clients in connection with mergers, acquisitions, joint ventures and other transactional matters. Prior to joining the Firm, Kate was a partner at Squire Patton Boggs (US) LLP, where she represented public and private companies in cross border mergers and acquisitions and other strategic transactions and investments including licensing, technology transfer, as well as advising clients on regulatory and corporate governance issues. She has worked with clients in various industries including automotive, aviation defense, telecommunications, biotechnology and agribusiness. She has also represented clients in general commercial litigation matters, antitrust investigations in the U.S. and other jurisdictions, and recently acted as co-lead counsel in an antitrust class action case pending in the Northern District of California. Kate is fluent in Korean and proficient in Japanese.